We are one day closer to the weekend, so YAYYYYYYY!!!!! 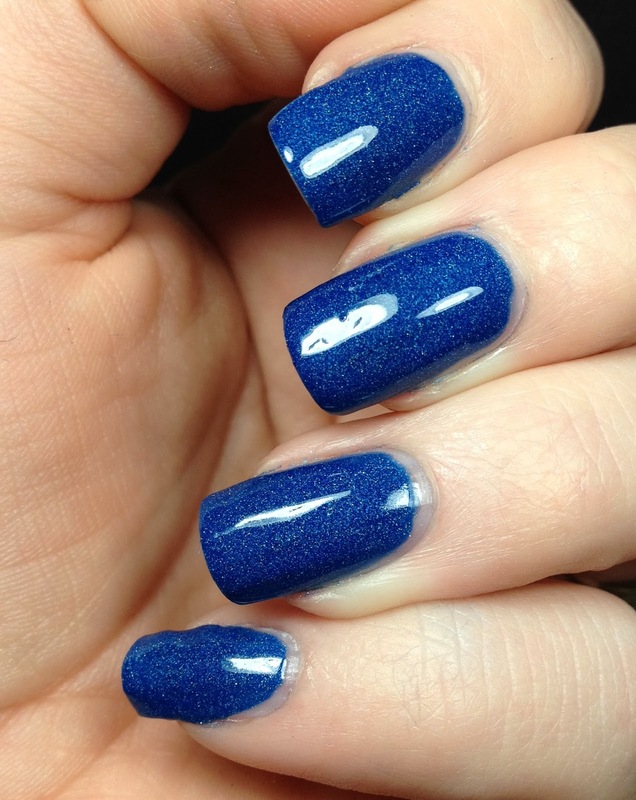 Today I have the first in a series of polishes that I purchased from Luscious Potion. I first heard about this brand on Instagram and when I saw this collection I knew it had to be mine. This collection is all thermal holographic polishes. That's right, holo AND thermal. There was a preview post that showed the whole collection and when the pre-order went live Susan was kind enough to tag me. (Smart woman, she knew I was waiting for the pre-order). The whole set is five polishes. I purchased a set of minis. OK, onto the first polish, Purity Lake. This polish applied like a dream. 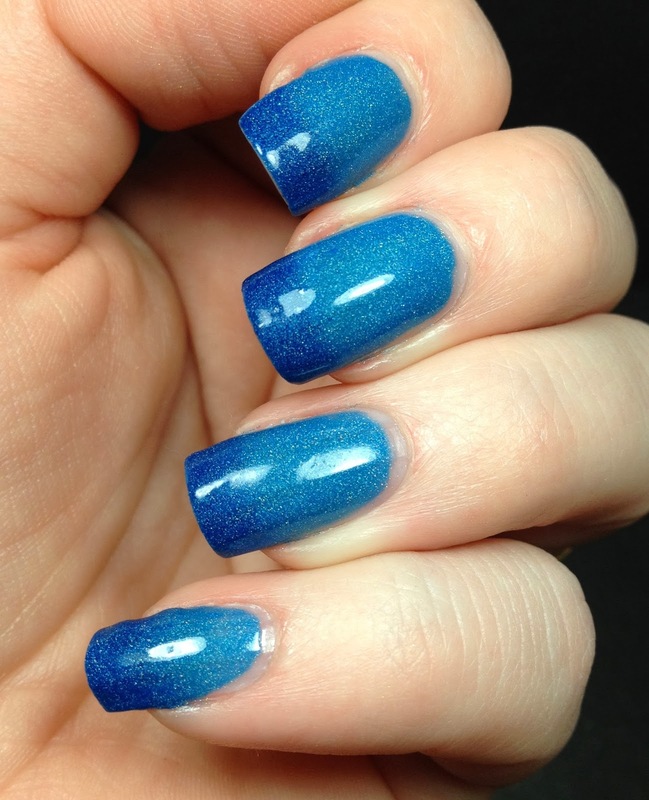 This is two coats over Duri Rejuvacote and topped with Glisten and Glow HK Girl topcoat. I couldn't be happier with this polish. To date I have only used three of the collection but I will be using the other two soon. These wore for DAYS without any chips and minimal tip wear. These next two photos show it transitioning from dark blue to light blue. SO amazing!! So, this is the first one, what do you think? I am personally so happy with these polishes and hope that I am able to expand my collection in the future as I would buy from her again! Thanks! I am really digging these. So impressed. Oh, wow. I love it dark but then it changes and it just looks even better!